Spark is the best personal email client and a revolutionary email for teams. You will love your email again! We are building the future of email. Modern design, fast, intuitive, collaborative, seeing what’s important, automation and truly personal experience that you love - this is what Spark stands for. 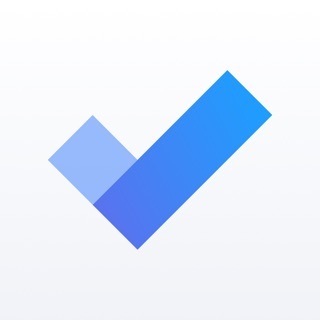 Smart Inbox lets you quickly see what's important in your inbox and clean up the rest. All new emails are smartly categorized into Personal, Notifications and Newsletters. For the first time ever, collaborate with your teammates using real-time editor to compose professional emails. Schedule emails to be sent when your recipient is most likely to read them. It works even if your device is turned off. Snooze an email and get back to it when the time is right. Snoozing works across all your Apple devices. Powerful, natural language search makes it easy to find that email you're looking for. Just search the way you think and let Spark do the rest. Smart Notifications filter out the noise, letting you know when an email is important, saving you from notification overload. Integrate Spark into your workflow and take productivity to the next level. Supports Dropbox, Box, iCloud Drive, and more. A full-featured calendar works right in your email to help you always be on top of your schedule. Create events easily using natural language. Quick Replies get the point across with just a tap. Love, like or acknowledge an email in an instant. That terrible mess in your inbox is now replaced it with a beautiful, threaded message design. Customize Spark to work as you do. You decide which swipes do what, what cards are shown, and how many emails you want to see. You’ll love your email again! Today's update brings a hotfix for the issue with Outlook. Thank you to all who reached out at rdsupport@readdle.com and helped us track down the bug; without you, this fix would not have been possible. There’s no avoiding email—as much as we might wish otherwise—but Spark makes tackling an unruly inbox a whole lot more pleasant. The app is an immediate joy to use, thanks to a painless setup process and a sharp, clean layout. But Spark’s true value comes from its clever interface, flexible customization, and the way it bubbles important emails to the top while filtering out the noise. Inbox intimidation is now a thing of the past. I’ve pretty much tried all of the email apps for iOS and while I use google business in chrome with a lot of plugins on my desktop, this is my new go to mobile email productivity booster. I was a long time user of Newton but when they “shut” it down I switched to Spark. It has enough features that I can duplicate much of my workflow from Gmail on Chrome. There is a subscription component but that is basically for teams and collaboration not for the email component. The basic free subscription to those features is enough for me but if I can get more of my team using this, I wouldn’t have a problem upgrading to the paid tier. At first I thought, “why would I want to take communication out of the email channel” but it actually works. I can pin the email, collaborate on the question/task without the noise of email. Think of it at a basic level like a Slack channel built into the email. I was over moving to a mobile email app and having the product discontinued or acquired (yes, I’m talking about you Mailbox). Readdle isn’t a one trick pony and has a broad app ecosystem. Needless to say, I highly recommend this app.